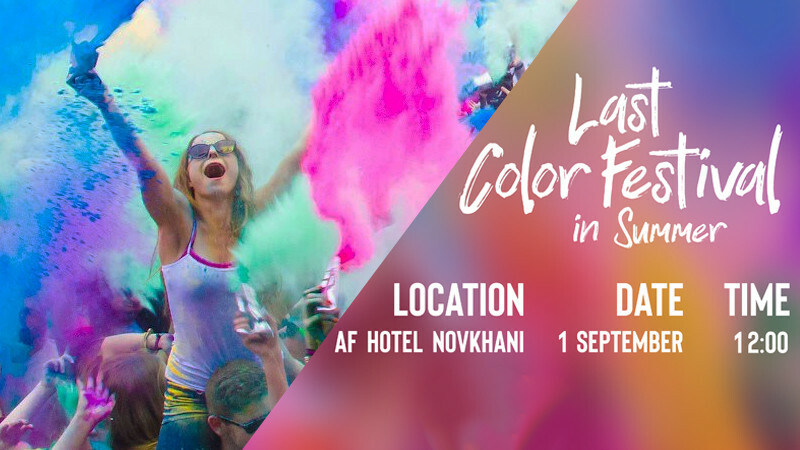 Last Color Festival in Summer in AF Hotel & Aqua Park Complex buy tickets online. Delivery of tickets for the event Last Color Festival in Summer. Last Color Festival in Summer. A colorful festival on the last day of summer. Holi is one of the brightest and colorful holidays in the world, which symbolizes the onset of spring and the beginning of the new year according to the Indian calendar. Holi is also called the festival of colors for diversity and color saturation.